Tripps Travel Network is one of the top travel providers out there, offering vacationers that hail from all around the globe the chance to do a Las Vegas vacation right. Tripps Travel Network staff works tirelessly to ensure clients have access to luxury accommodations and amenities, something that everyone truly deserves. 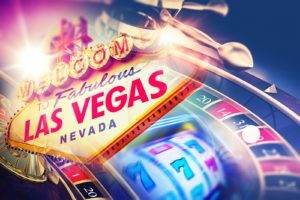 Tripps Travel Network shares another way it can be considered so unique: the customer service oriented staff hopes that advising about some of the top local attractions in Las Vegas will both help travelers have fun and save money. That’s right, all of these activities are free of charge—the only thing you will need is a sense of adventure! P3 Studio: Art lovers, rejoice: this is one gallery you can check out free of charge, and a unique one to boot. Tripps Travel Network shares this studio is located at The Cosmopolitan, and shares the work of artists from many different countries. One of the main focal points is the interactive installations found here, and all of the work is truly innovative. Marjorie Barrick Museum: All those who didn’t get enough of their art and culture fill while hanging out at P3 will want to check out another spot for an interesting history lesson. Tripps Travel Network shares the Marjorie Barrick Museum serves as a display of western culture, and features artifacts that are both education and exciting, plus much more. Wildlife Habitat: For those traveling with children, Tripps Travel Network shares that kids will love this animal sanctuary and wildlife habitat. Located at the famous Flamingo casino, the namesake of the hotel is rare to see in real life, and seeing those pink birds up close and personal will be so much fun.